Newly released records obtained by the News4 I-Team show the severe impact new immigration policies have in the Washington, D.C., metropolitan area; one former judge says it's making the huge immigration court case backlog even worse. Records from January through July of 2017 show immigration judges around the country were forced to postpone 24,806 cases, because those judges were not in their courtrooms to hear cases. In the Virginia and Maryland court locations, which serve the D.C. area, more than 2,700 local cases have been pushed off, sometimes for years, because the judges were instead reassigned to hear cases at the border. "What it isn't serving, I think, is due process and the ends of justice," said Judge Paul Wickham Schmidt, who retired from the immigration court in Arlington in 2016, "I think it's a misuse of resources." Schmidt said he's glad he left the bench, because it allows him to speak freely about what he's seeing in the court system today. "It's a disaster. I think it's moving toward implosion," he added, directing his barbs at current immigration policies and the shift in which types of cases are now a priority. "They're trying to detain everybody who arrives, so they've assigned more judges to the southern border," said Schmidt. "And those judges leave behind full dockets." The News4 I-Team learned in the first seven months of this year, the Department of Justice reassigned judges from around the country more than 200 times, usually for two weeks or more. Additional reassignments are ongoing and more are scheduled later this year. 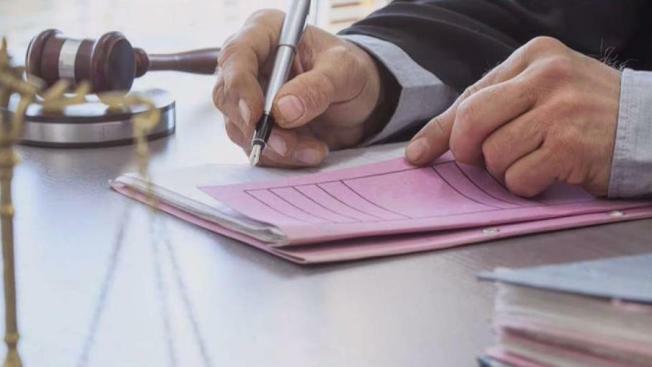 In Arlington, Virginia records show at least 15 reassignments, and while the judges were gone, they had to postpone 2,580 local cases. Only Los Angeles, New York and Miami had more. "But since most judges are backed up for years, they don't have any vacant (slots). It's not like they move them to next week. They move them to slots 3 to 4 years down the road," said Schmidt. "Why would you use people in an office like Arlington that's overwhelmed?" The Arlington court is already scheduling cases for December 2021. That's the second longest delay in the nation. In May alone, five of the seven Arlington judges had weeks of reassignment to the border. Records show they delayed 946 cases as a result. "When you can't give people hearing dates that are reasonable dates, which they can count on, they know it's actually going to take place, then as a judge I feel you lose credibility," said Schmidt. Schmidt said to make matters worse, while judges are reassigned, they cannot work remotely on cases back at their home courts because the files are all on paper, not electronic. He said at the border, many cases involve people who recently arrived in the United States and haven't had time to get a lawyer, so a lot of those cases are not even ready to be heard and get delayed as well.